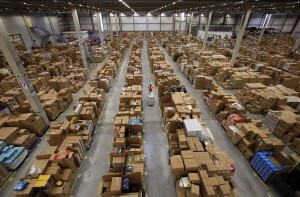 The distribution warehouse job niche is huge. You will find that while there might be a shortage of jobs everywhere else, the distribution warehouse still has plenty to offer. However there is a reason behind this. Don’t think for a second that there isn’t. Distribution warehouses like to take on temporary staff, which might great for you if you are simply looking to build up your CV. However for some hard working people who have families at home and people to look after. These jobs really are not meant for them. Recent studies have found that 63% of workers within warehouses are temps. Which makes the majority of workers temporary. This isn’t because warehouses only need workers on a temporary basis though. As they always have work to be done. It’s actually a way of the warehouses, getting away with giving their workers less benefits. It was found that only 5% of temporary staff in warehouses have sick days. Which means if you’re are in the other 95% then you won’t be paid anything if you’re sick. Which is pretty likely when you think of the odds. If you are going in for a temporary warehouse job, then you might want to ask them about this before you accept any work. If the interviewer gets shirty with you about it, then the likelihood is you won’t be getting any benefits or sick days with the company you are interviewing for. You need to make sure if you do get a job somewhere that doesn’t offer you these benefits, that you always have money aside for a rainy or poorly day. If you don’t, you might find yourself quickly getting into a bad situation. You will also find as temporary staff that you salary is much less, than that of a permanent employee. With the average hourly rate being about $9 which is £3.48 less than permanents. This is considered a poverty line wage and for many it simply is not enough. With 1 of 4 needing to get government assistance along side their salaries to manage. Studies also found that 37% of temporary workers needed to take on second jobs in order to pay their rent and buy basic necessity. Non of which seems fair when you think about the hard work, that comes with working in a warehouse. Not just is it hard work, but it can often be dangerous. With as many as 20% of workers being injured on the job. Which is pretty high risk when you consider it. Temporary workers again get the short end of the stick though, with 1 in 3 people who report being injured at work being fired as the result. This means if you are injured, whether through fault or not of your own, the likelihood is you will lose your job because of it. If the injury is serious then it could be a long time before you can get another job, so you’re either going to be broke or have to accept government assistance. Neither of which is a nice thought. This entry was posted in Uncategorized on April 27, 2015 by Jen. 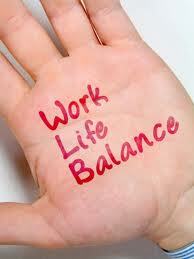 If you have just got a new job, in a new area or you are simply just a workaholic who finds it hard to switch off. Then you might be wondering what to do with your lunch break. That whole hour or so that breaks up your working day, before you can go home and relax. Well you will be happy to know that there are plenty of things which can fill up those hours. So before you start panicking about your lunchtime plans just take a minute to think about what you can really do. If you want to go back to basics and do something really simple, then of course you could always go out and get lunch. There will be plenty of places for you to grab a bite to eat and with a whole hour or so on your hands you can enjoy walking around, the area that you work and finding somewhere. If you are a stickler for bringing a lunch to work, then maybe you could try to find somewhere nice to sit and eat it. Rather than just staying in the office building. Either way the fresh air will do you good. If you have found that work is building up a little and you’re at a junction of backlog, then why don’t you spend your hour catching up. Not only will you be noticed as the person working through their lunch break, but you will also be getting that work you have put off done. You will feel so much more productive getting something finished than you would sitting for an hour worrying about getting it finished. If you are feeling a little burnt out, then you could always, if possible pop home for a nap. There have been several studies to back up the health benefits of power napping. Meaning you could go back to work for the afternoon refreshed and alert, rather than guzzling coffee all afternoon to keep yourself awake.Another great way of waking yourself up is going to the gym. Releasing happy endorphins into your body will help you stay relaxed and alert while you finish your afternoon. If you want to socialize on your lunch break, then you are in the best place. A building full of co-workers. Why don’t you try tagging along with their lunch time plans. Not only will you get to know the people who you spend most days with, but you might actually find yourself making friends. If you don’t fancy getting to know the people in your building, then why don’t you make plans with an out of work friend. To meet you at your lunch time. If all else fails, why don’t you get your cell phone out and play a few games. Angry birds is always something which can help to pass the hours. You will find yourself due back into work in no time, and sometimes no levels completed! However, this can leave you with more of a stress than when you first left for your lunch. So it isn’t really that recommended. This entry was posted in Uncategorized on March 30, 2015 by Jen. Distribution warehouses can be dangerous places to work, especially if you have been used to working in an office. There is constant heavy machinery and heavy lifting to be done, for a start. 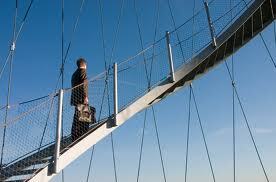 Which can lead to some serious injuries if you are not being careful. In a recent study it was shown that 20% of warehouse workers end up being injured in the workplace. Of that 20% it was found that 1 in 3 were fired after reporting the incident. If you don’t want to find yourself in this statistic, then you might what to think about how to keep yourself safe while working in the distribution warehouse. One of the most important things you can do for yourself, to keep yourself safe, is to have a good night’s sleep. There is nothing worse than trying to focus on any job, without the proper amount of sleep. Your brain just won’t co-operate with you. It can also really slow your reactions down, which means if you have to react quickly, you most likely won’t react quickly enough. When you are working in a place that has heavy machinery you want to have your wits about you at all times. If you are feeling a little under the weather, then you might find yourself taking some over the counter medications. To try and ease your symptoms. If you do, always read the label. Some may warn you not to operate or be around heavy machinery, due to drowsiness being a side effect. If the label warns you of this, don’t ignore it. If you do, you might not only find yourself in danger, you might be putting other people are risk too. You should always try to wear safety equipment, when available. Steel cap toes might seem like an over the top idea, but when something heavy falls onto your feet, you will be thankful. Fluorescent jackets and other clothing are also a very good idea. This is so that people will be able to see you at a distance. The last thing you want on a night shift is for someone driving cargo around to not see you. If you dress yourself properly then you will find that many potential injuries can be avoided. If you don’t work around the big machines, you could still be at risk. Quality checkers often find that after a few years, doing the same job, they get something called repetitive stress injuries. Which happen after you move the same joints and muscles over and over again. There is no cure for these types of injuries and you risk flaring them whenever you have to move the injured area. To prevent this from happening, however you can buy supports, that you can wear. These are relatively cheap compared to how much then can help you. You will also find, no matter where you work, that warehouses all have their own protocols. You should find safety posters and warnings, posted all over the walls. You should always take the time to read these instructions, as they will have useful information about how to keep yourself safe. Some of the time obvious things that you might otherwise forget about, and other times they will provide information that isn’t so obvious. Like how to get out of the building should there be a fire. This entry was posted in Uncategorized on February 24, 2015 by Jen. If work isn’t what it used to be and you’re dreading going in every morning, then you might be burned out. It isn’t something that just happens to workaholics, it can happen to anyone. For many reasons, but picking up the feeling and addressing it, is the only way to get your work energy back. If you don’t and you carry on being burnt out, you will find that your work quality will slip and you might be leaving yourself open for injuries in the workplace. So if you are feeling a little down in the dumps about work or you are simply dreading going in, then maybe you should consider that you are in fact burnt out. One of the main signs of being burnt out is lack of concentration. Which means that whatever task you try to undertake will not be done to the same standard, that it might if you were giving it your all. This isn’t your fault though, when your brain is burnt out, it will avoid the thing that is causing it with everything it’s got. This doesn’t mean though that your boss will be happy with the standards slipping. You might also find yourself feeling really tired all the time. This is because your brain needs a rest. 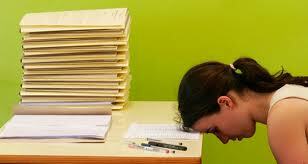 It can’t cope with the load of work you are giving it and it’s getting tired out. You will feel sluggish and uncoordinated. If you are working with heavy machinery, or around it, then it’s time to take some time off. You could end up hurting yourself or someone around you. If time off isn’t an option then you need to get a really good nights rest. If you are also finding that all your work is being done, without you really thinking about it, then you might want to consider a break. Even if it’s just for ten minutes. If you have let your brain go into auto pilot, it means you are switching off from your tasks. You need to address this. Sometimes it’s because you have burned yourself out, but sometimes it can be because you just don’t enjoy your job anymore. Either way you need to know. If you haven’t taken a day off work in over two weeks, then you are at risk of burning yourself out. Long stretches of work without a break can overwhelm your body and brain. Leaving it useless for the actual job it is trying to do. You brain needs a steady flow of different activities to keep it healthy and happy. 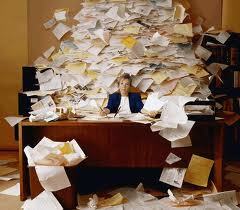 If it is burdened with the same tasks day in day out it gets strained. Even if you do not think you can afford a day off, you need to find a way for your health and well being’s sake if nothing else. If you find it hard to concentrate. If you always feel tired at work. If the idea of work makes you feel dread. If you can’t get your head around the work that you are doing. If you feel yourself feeling this way, then you can’t just ignore it. You have to address the issue before it becomes a risk to your health and happiness. This entry was posted in Uncategorized on June 4, 2014 by Jen. While distribution centers and warehouses come from the same sector of services, in storage management. They are actually quite different. With both of them providing different services within their niche. However for you to fully understand the differences, you must first know what each of them carry out on a day to day basis. Warehouses are buildings or structures which store goods. Normally for retail purposes. These goods are kept within the warehouse until the retailer in question needs them, either to stock their shelves or to provide them directly to their customers. You will find that large retailers such as Argos, own their own warehouses, while smaller independent retailers tend to go for a third party experience. This is because for most smaller retailers, the overhead costs of having their own warehouse is not feasible. However the same can be said for larger retail chains. For large retail changes it is not feasible to be paying a third party to store their goods. As they tend to have millions of units of products, which take up a lot of room. Warehouses tend to only ship to retailers. Rather than to individual customers, which makes their job comparatively easier compared to that of a distribution center. As they can send items in bulk, cutting down costs of individual shipping and wrapping. It also means that, storing the stock is easier for them too. As they only need to separate the goods into which retailers they belong to. Rather than having separate bedding from electrical for each instance. Working in a warehouse you will find that job roles differ from person to person. Some will be in charge of receiving the goods. These people are relied on to ensure that everything that should be in an order is, and that it is all in working order when it arrives. There are also people in charge of ensuring that all goods are stored safely and correctly. So when the call comes for the goods to be shipped, they know where it is and how to get it. Then there are the people whose job it is to ensure that all orders are fulfilled. These people are in charge of shipping the products out to the retailers. Their main job is to ensure that all the order is there and that it is, shipped out in a timely fashion. A distribution center unlike the warehouse, tends to distribute products, rather than storing them for them for a long period of time. You will often find that distribution centers ship to all walks of life. Including retailers and customers. Large companies like Amazon rely on distribution centers, to get their products to their customers in a timely fashion. This can be said about any large online companies who run stores. As they do not have the physical platform to sell their goods. 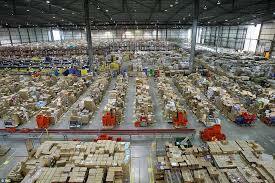 You will find when working at a distribution center that it has three main areas. Which are the shipping dock, receiving dock and storage area. Each area will have it’s own set of workers who carry out specific duties to that area. For instance, in the shipping dock, you will find people who distribute the stock they handle. Meaning they pack it, wrap it and send it on it’s way. The people who work within the receiving dock, do just that. They receive all the stock that is sent to the center. This means they have to ensure that everything has arrived and that it has arrive safely and unharmed. If anything is found to be missing after they have received it, then it goes on their heads. The people who work in the storage area, are those in charge of ensuring that goods are kept well. So if the distribution center handles fresh food for instance, then they are in charge of ensuring the food in kept well, does not go off and is stored properly. If you want to find out more about working in a distribution center, then here are some links for more information. This entry was posted in Uncategorized on May 7, 2014 by Jen. 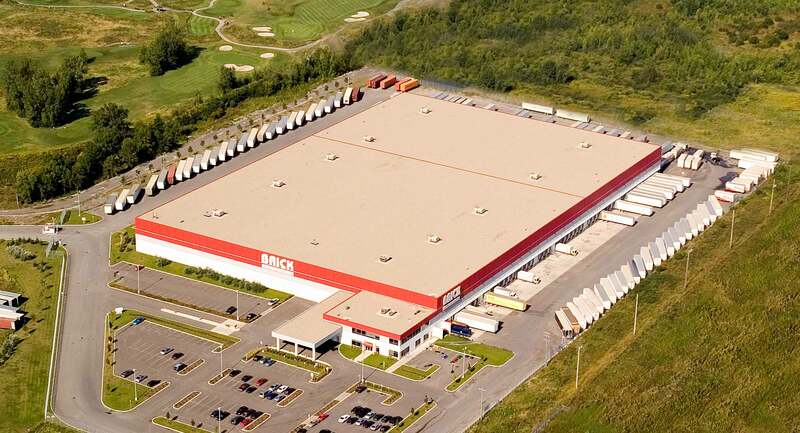 A distribution center is a building or multiple buildings, that are primarily used as storage. For goods, that retailers sell in their shops or online platforms. They store these goods until they are ordered to be distributed, whether to business’s or directly to customers. The main purpose for a distribution center is to hold stock, until it is needed. These centers can often be shared by several small business’s to reduce overheads or are owned outright by larger companies, who rely on having large amounts of stock, but do not have a large amount of shop space. They are also heavily relied on by online companies, who use a digital shop platform. Traditionally large retail chains such as Amazon own their own distribution centers. This minimizes their overheads, by cutting out the middle man. 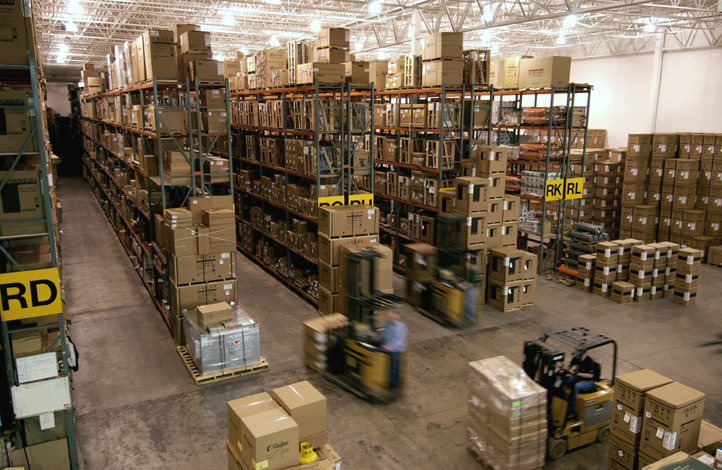 You will tend to find that large retail chains have more than one distribution center. They tend to place them strategically throughout the countries that they ship to. Small independent retailers however cannot afford the overhead costs of owning their own distribution centers. This means they have to go to third party centers which charge them a much smaller overhead in comparison. This is because these third party services tend to serve more than one small retailer. Meaning that the overhead costs are split between multiple business’s rather than just one. There are three main area’s within a distribution center, which are, the shipping dock, receiving dock and storage area. These three areas can then be broken down into smaller sections. For instance the storage area might be divided into different sections depending on what is being stored. Such as food. If the distribution center is storing perishable and non-perishable food, then you will often find sections for refrigeration or air conditioned, to ensure the food stays fresh. You will also find with third party distributors that store more than one retailers stock, that there will be area’s set out of each of the people they provide storage for. This is to ensure that all stock in storage is easily located and does not get mixed up. If the stock was all kept within one place then it would be difficult to locate and could potentially mean a lot of mix ups. This is bad for business for both the distributor and the retailer. As the customers down the line ends up unhappy with the service they have been provided. If a customer is dissatisfied then the likelihood is that they will not shop there again. Although distribution centers tend to do the same thing, there are some differences. Although you can normally tell what kind of distribution center it is, by what it calls it’s self. For instance the main three different types of distribution centers are called, package handling center, warehouse and fulfilment center. Each doing the same thing, but with slight differences. The package handling center tends to receive goods and then forwards them straight away to whom ever they are going to. However a fulfilment center normally stores and then sends goods straight to the customer. This is a common place for any purchases from catalogues or online stores, to come from. A warehouse on the other hand tends to store products, that will one day see shelves in a shop. The distribution center finds it’s profit in efficiency. Through ensuring overheads are low, labour costs are kept to a minimum and regular turn over of stock is upheld. This ensures that their customers build confidence in their system. Ensuring that their company is seen as competent in their field. Meaning that they are more than likely going to get more custom in the future from said retailer. If you are wanting to find out more about distribution centers then here are a few useful links, to help you on your way! If you have just got a job in a distribution center then congratulations! You are on your way to your first paycheck and I bet you couldn’t be happier. There are even several distribution centers that rank high in the best places to work. 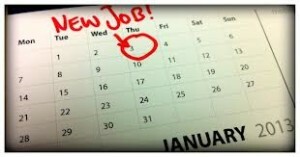 So if you are really lucky you may have even found yourself with a job in one of the best places to work in the world. If you want to find out where you company ranks then a simple Google search should tell you. Of course you will find out pretty quickly, if you weren’t already told at the interview, that you will need certain items of clothing for your new job. Now some companies will provide you with work clothes, that sport their logos and other information. Some companies will charge you for these clothes, which normally come out of your paycheck, some will not. You will find that some companies expect you to source your own uniform, with only key pointers as to what you should wear. If you are working for a company that doesn’t provide you with a uniform, then you will need to know, what you need and where you can find it from. Of course what you will need will depend on what role within the distribution center you have. 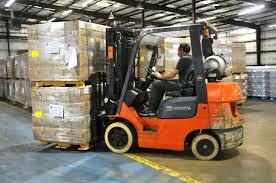 As some roles within a distribution center involve heavy lifting or outside work. The type of work you will be doing, will change what type of clothing you need. As some jobs within a distribution center are safer than others. If you are working in the receiving or shipping dock, then you will find that a lot of your work will be outside. Keep this in mind while shopping for suitable clothing. You will want something that isn’t bulky but does keep you warm. 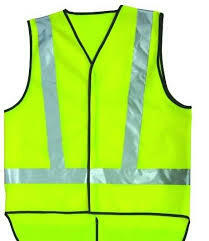 You may also want to think about getting a fluorescent jacket, as you may be working night shifts. Thermal clothing is always a good thing to think about if you are working outside. As it isn’t bulky to wear but does provide a lot of heat. If you are working in the storage area then it is still strongly suggested, that you pick something warm. 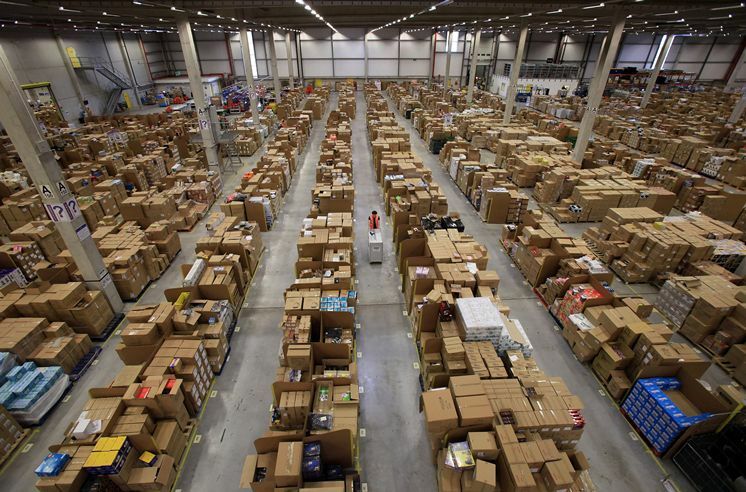 Distribution centers are not going to be like working in an office. They are big, cold places, with very little heating. Even if you are starting your job in summer, don’t forget the when winter comes it will get mighty cold. You also have to keep in mind the fact, that you might be using machinery. Such as a fork lift. With this in mind, you know you want to avoid wearing any clothes that are baggy. As they could get caught on any number of things. This could lead to serious accidents, if you are not careful. No matter what job role you may be taking within a distribution center, you still will want to protect your feet. Don’t go to work in a pair of old trainers. As if something falls off a shelf or you drop something onto yourself, you might end up loosing your toes! The best thing to wear is steel cap boots. These provide the most protection for your toes and feet. If you cannot afford steel cap boots at first then go for something made out of thick leather. That is hard to press out of shape. The most important thing to remember when getting your uniform is safety. No job or paycheck is worth loosing your toes over. So just remember that safety is key. Even if your uniform ends up costing a little more that you originally thought, it is always better to be safe than sorry! This entry was posted in Uncategorized on April 7, 2014 by Jen. When working a night shift, you will find that the forces of nature are against you. This is because everyone’s internal clock is set to sleep at night and wake up when there’s daylight. This means that no matter how much sleep you have had through the day, you will still find yourself struggling to get through the night. There are however some little tricks you can do, that will help trick your body clock into thinking, your up at the right time. One of the best hacks you can use against you body clock is a SAD alarm. SAD is a condition that many people suffer from all across the world. It makes people depressed when they do not get enough vitamin D, through channels such as sunlight. 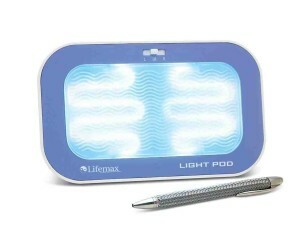 However to combat this, someone has invented a light which emits the same vitamins as the sun. 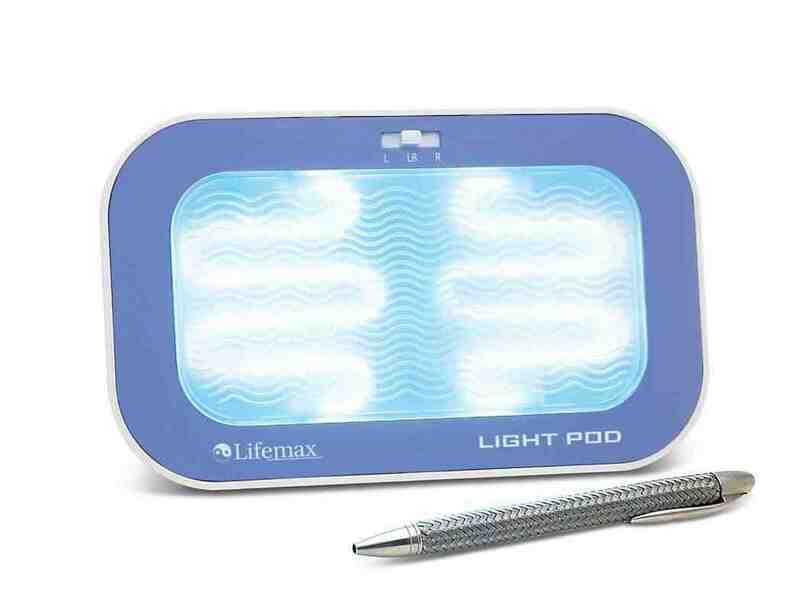 This light which can be used for as little as five minutes, can top up your body with all the daylight it is missing out on through the day. Effectively tricking your body clock into thinking it is day time. Although these lights can be expensive, they are more than worth their money. Another little hack that you can use against your body clock is, something that also battles jet lag. With this technique, you start the day before you have your night shift or flight. The way that you do it, is by sleeping through the day and waking up at night. 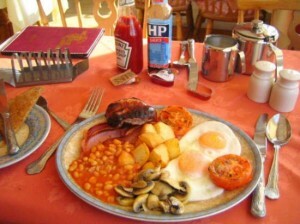 As soon as you wake up have your breakfast and then a few hours later your lunch. Even if you are not hungry. The food that you eat sends signals to your brain letting it know that it morning. Even if it is night time. Then the day you wake up to do your shift carry on with breakfast first thing and lunch a few hours after. Your body clock will effectively be retrained into thinking it is day time when it is not. Making it much easier for you to stay awake. Of course there are always the more unhealthy options too. Some people find that keeping themselves awake for a twenty four hour period and then sleeping at the time they want to, is effective. As your body is so tired it goes straight to sleep. However this can be very detrimental to your health. As it has been suggested that missing just one nights sleep can knock a whole day off your life. This has never been proved though. So the risk is really your call. Another method of staying up is caffeine. Whether from drinking coffee or energy drinks, or even taking caffeine pills. There is nothing wrong with using this method from time to time. However if you use this method on a regular basis you may find yourself developing health problems. You may also find yourself growing dependent on the caffeine, finding it hard to function without it. If you are getting to this point or have already reached this point, then you need to start looking at alternative methods. 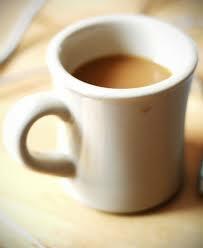 As caffeine stimulates the brain and makes it jumpy. Meaning that it can actually stop you from being able to focus. This could potentially be dangerous if you are working with heavy lifting or machinery. There are loads of different methods to keeping yourself awake throughout a night shift. With many of them being quick and simple to do. If you want to find out more ways of keeping yourself up at night then follow these links, for more great ways to hack your body clock. This entry was posted in Uncategorized on March 29, 2014 by Jen.